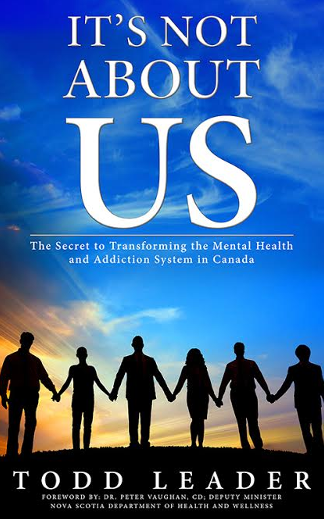 It’s Not About Us is a guide to improving the client experience with the mental health and addiction system across Canada. Todd is a transformative thinker. Todd's philosophy is to build community capacity. His strength is working with community partners to build upon community assets and assist the community to respond to gaps that may exist.